Queen’s Wharf Brisbane will become a global destination within our beautiful city when it expects to open in 2022, but before then Brisbane residents and visitors will get the chance to explore and learn about some of our precinct’s heritage through this year’s Brisbane Open House. As part of the city’s annual showcase of some of its most intriguing buildings and places, the former Government Printing Office will be open to the public on Saturday 13 October 2018 from 10am to 3pm. There is no need to register, just turn up on the day if you are interested. 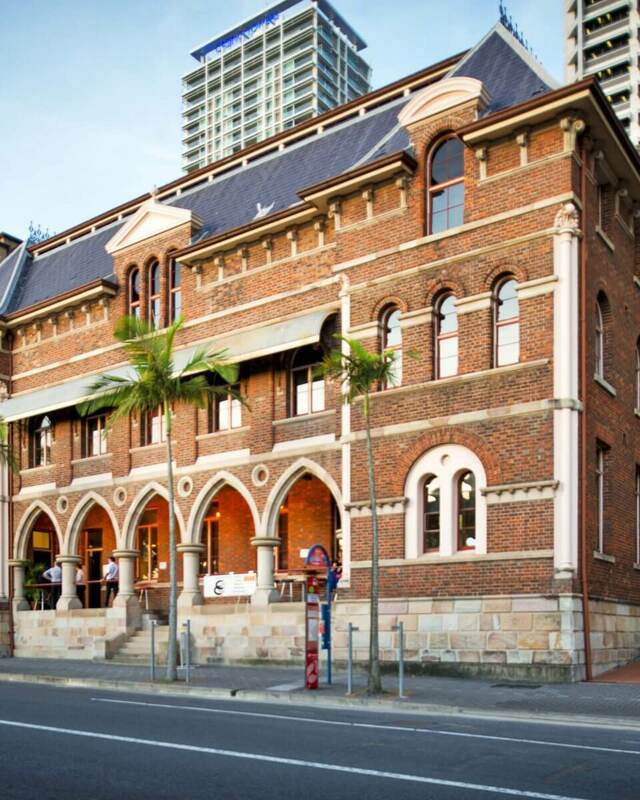 Located at 84 William Street in the CBD, the former Printing Office was most recently converted from a pub (The Public Services Club) into a temporary modern office for our Destination Brisbane Consortium team with the refurbishment carefully retaining and accentuating the building’s stunning heritage architecture. However, back in the late 1800s, it had a fascinating history as the place where Hansard, the official report outlining the proceedings of the Houses of Parliament, was printed. Built from 1872 to 1874, the building was originally part of a former government precinct and printed stamps, Government Gazettes, and text books in its later years. In the 1883, it was the first building in Queensland to have electricity with a steam electrical generator at the rear of the building that ultimately supplied power to Parliament House through Australia’s first underground electrical cables down William Street – Edison Tubes. Through our future Queen’s Wharf Brisbane development, the building will transform again offering locals and visitors casual, high quality, and affordable dining venues during the day while transforming into a lively dinner and bar venue at night. Come along during Brisbane Open House and get a rare insight into this beautiful building with a coffee van selling drinks and light refreshments to keep you well-nourished during your visit. The Commissariat Store, 115 William St, Brisbane – self-guided tours and children activities will be available on 13 and 14 October from 10am to 4pm. No registrations required. In addition, a special ticketed concert featuring the Enoggera Ensemble will also feature on 14 October from 3pm to 5pm – visit queenslandhistory.org for more and to book. Treasury Heritage Hotel, 130 William St, Brisbane – guided tours available every 30-45 minutes on 13 and 14 October from 10am to 3pm. You must pre-register on the Brisbane Open House website to attend.